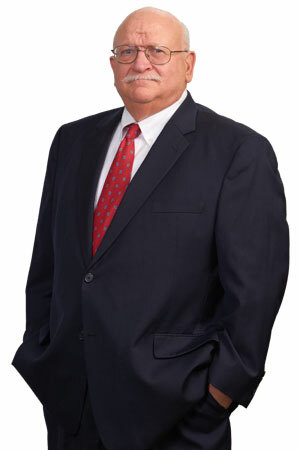 James Deutsch is a founding Member of the Firm and Managing Member of the Jefferson City office with over 30 years of experience representing businesses and individuals in disputes with the state, federal and local governments. His focus is on legislative and rulemaking practice, challenging agency regulatory action, issues of state and federal constitutional law, litigation and appellate practice, on all areas of administrative law with an emphasis on gaming and wagering law. Jim has been listed for ten years in “Best Lawyers in America” in the field of gaming law and he has appeared and argued before the United States Supreme Court. Prior to that he was a partner in a major Saint Louis, Missouri law firm practicing in Jefferson City. He spent 12 years working in government, including as: Deputy Director and General Counsel of the Missouri Department of Revenue; Commissioner, Missouri Administrative Hearing Commission; and Chief Deputy Attorney General for Missouri. Jim has acquired a number of awards and honors over his career. He is rated A/V by Martindale-Hubbell. He has been listed in “Missouri and Kansas Super Lawyers” in the field of administrative law. He is a founding member and officer of the International Masters of Gaming Law and is a graduate of the National Judicial College. He has written and lectured frequently on the subject of professional responsibility and ethics in the practice of licensed professions as a result of having been named by the Engineering News Record as “Man of the Year” and made an Honorary Fellow of the American Society of Civil Engineers for his work in deciding the 1981 collapse of walkways at the Hyatt Regency Hotel in Kansas City, Missouri. He is a former United States Marine and Vietnam Veteran. He is active in working with military veterans and veterans’ issues.